Preventing, Reversing and Living Healthier with Diabetes. Welcome to Blood Sugar Battles! Here you can find answers to basic questions like, “how do you get diabetes”? 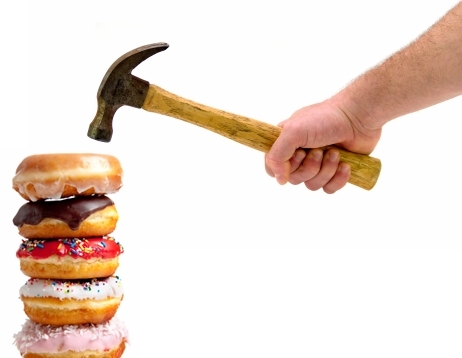 And , “What are the risk factors for getting diabetes”? Some of these answers might surprise you since we have made it a point to understand not just the “money” answers to these questions, but the true reasons that the diabetes rate has risen so dramatically in the past 20 years. By understanding the causes, we hope to help people like you from ever getting diabetes in the first place. For those of you that have been diagnosed with insulin resistance or type 2 diabetes, we want to share what we have learned about virtually reversing your diagnosis. We’ll discuss ways for improving your health so that you can control your blood sugar naturally and avoid the complications of diabetes and uncontrolled blood sugar. For those of you that have suffered with type 1 diabetes since you were young, we would like to share how you can improve your health and get better control over your blood sugar so you too can avoid the complications of uncontrolled blood sugar down the line. Do we have easy answers? No! Can we wave a magic wand? No! Getting healthy and getting your blood sugar back under control is a PARTICIPATION SPORT. You can’t expect to continue your current life style and have things get magically better. Why? Because, aspects of your current lifestyle are most likely the reason that you were diagnosed with diabetes in the first place. The good news is that by taking positive steps NOW to improve your lifestyle, you can win the blood sugar battle. Why aren’t you hearing this information from the mainstream media? Why doesn’t the government pay for research into how to prevent diabetes? Why isn’t our health system focusing on how to prevent diseases like diabetes, asthma, and breast cancer in the first place? Well, as far as we can tell, it is because there is no money in preventing diseases. The money lies in disease management, that is, in providing drugs and procedures to either “cure” the disease or to treat the symptoms of the disease. If you didn’t get “sick” in the first place, then the doctors and the drug companies wouldn’t be making any money. Again, our health system is not focused on health CARE, it is focused on Disease Management. Our motivation for starting Blood Sugar Battles is to provide information about insulin resistance so that people can avoid being diagnosed with diabetes. We also want to create a venue for helping people with diabetes get control over their blood sugar naturally so that they don’t have to be dependent on medications nor suffer any of the complications related to diabetes. Welcome to Blood Sugar Battles. Let’s enjoy this ride together!